Danville – Command Sergeant Major Ronald E. Wells, United States Army Retired, 85, of Danville passed away at 1:00 PM on February 2, 2019 at his home in Danville. Born September 18, 1933 in Danville, IL to Ira V. and Edna (Musson) Wells as the 2nd of 11 children. He attended Wait Grade School (graduated with the class of 1947) and Bismarck High School (graduated class of 1951). Ronald Enlisted in the Army at For Sheridan, IL on January 31, 1952. He under-went Basic Training and Advanced Combat Engineer Training at Fort Leonard Wood, MO. After training he volunteered for duty in Korea. He was assigned to the 2nd Amphibious Support Brigade which moved to Camp McGill, Japan after the war ended. Upon leaving Japan he was assigned to the US Army Artillery Test Board at Fort Sill, OK. His next assignment was with the 66th Intelligence Corps Group in Germany where he served six years. Then his next assignment was with the 1st Infantry Division (Big Red One), Fort Riley, Kansas. At Fort Riley he re-enlisted for duty in Vietnam where he served 2 months with HQ US Army Vietnam. He was re-assigned to the 39th Signal BN where he spent 11 months. His next assignment was with the 1st Armored Division at Fort Hood, TX. His next assignment was the US Army Finance Service, Fort Clayton, Canal Zone, Panama. His next Assignment was with HQ, I Corps (GP), at Camp Red Cloud Korea. He retired in Korea on Jan 1, 1973. 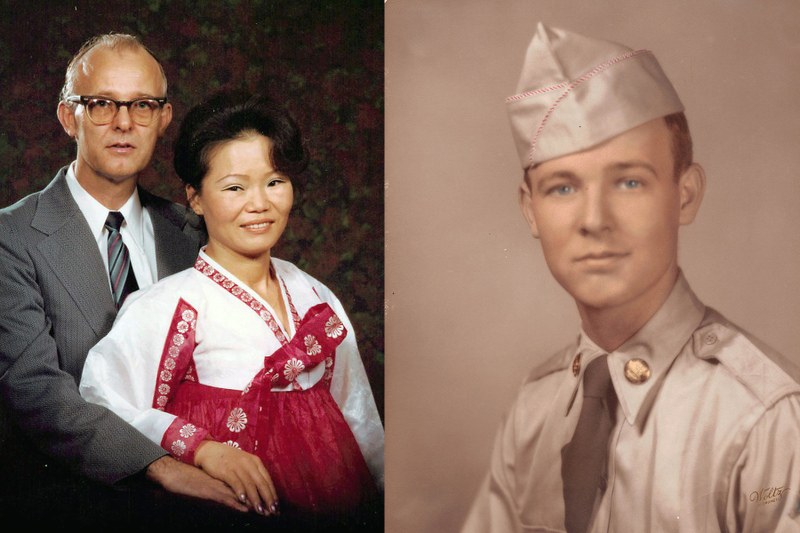 Ronald Stayed in Korea until August 1974 when he returned to Copperas Cove, TX where he had purchased a home in 1957 while assigned to Fort Hood while in TX. He was employed at Killeen Bowlerama as a desk clerk in 1975. He advanced to General Manager and was forced to resign in 1988 for health reasons. CSM Well’s Military Decorations and Awards include; National Defense Service Medal, Korean Service Medal with 2 Bronze Battle Stars, United Nation Service Medal, Republic of Korea Presidential Unit Citation, Presidential Meritorious Unit Citation, Vietnam Service Medal with 3 Bronze Battle Starts, US Army Good Conduct Medal (6 Awards) Vietnam Campaign Medal, Army Commendation Medal with 2 Oak Leaf Clusters, National Defense Service Medal with Oak Leaf Cluster, Armed Forces Expedition Medal, Meritorious Unit Citation with Oak Leaf Cluster and Expert Rifle Marksmanship Badge. CSM Wells has a lifetime membership with Non-Commissioned Officers Association of the United States of America, Veterans of Foreign Wars and Disabled American Veterans. Survivors include his three brothers, Kenneth (Carolyn) Wells, Robert (Kam) Wells, Larry (Shirley) Wells; two sisters, Sandra Kiser and Betty (Charlie) Lewis as well as his special nephew and niece, Jim (Jo) Wells and several other nieces and nephews. Ronald is preceded in death by his parents, wife: Sun Yea “Kim” Wells, two brothers, Floyd Wells and Danny Wells and three sisters, Norma Boes, Mary Ann Earl and Josephine Claudill. Ronald enjoyed spending time with his family, hosting birthday and holiday parties and will be missed dearly by his family and friends. A Celebration of Life will be held on Thursday, February 7, 2019 at 11:00 AM at Sunset Funeral Home and Cremation Center Danville, 3940 N Vermilion Street, Danville, IL with Dustin Wells officiating. Visitation will be held Thursday February 7, 2019 from 9:00 – 11:00 AM at the funeral home. Command Sergeant Major Ronald E. Wells (Retired) will be laid to rest beside his wife at Danville National Cemetery with Military Rites accorded by American Legion Post 210 Honor Guard. Memorials in Ronald's memory may be given to St Jude’s Childrens’ Hospital.